Maryland’s small town of Keepsake Cove is renowned for their holiday and seasonal decorations. In her enthusiasm as the new owner of the vintage music box store House of Melody, Callie Reed enthusiastically volunteered to head their fall’s decoration committee. The first of her many responsibilities is to coordinate a book-signing event for bestselling paranormal novelist Lyssa Hammond. Staying close by at the Foxwood Inn, even scare-specialist Lyssa finds the B&B owner Clifford Ashby to be a little too creepy for her own comfort, and his overwhelming talkativeness and overbearing personality explains why he is the estranged husband of sewing shop owner Dorothy Ashby. It also leads to her becoming the primary suspect when Clifford is found murdered, although the Dorothy’s Stitches Thru Time scissors sticking out of him probably helped. Feeling responsible for the Keepsake Cove business community and unable to believe that her friend had the capability to murder even the most irritating of spouses, Callie begins to question both her neighbors and the B&B’s visiting guests. Callie soon learns of Clifford’s extortion list that had him going to local businesses alphabetically, demanding payment with the threat of bad reviews and ratings. As Callie investigates, someone seems to be intent on shutting the bookstore event down, using pranks and even arson for what may be a distraction to keep her from discovering the truth. When another murder occurs seeming to cement Dorothy’s guilt, Callie realizes that there is far more darkness in Keepsake Cove than she could ever have suspected. Keepsake Cove is a delightful coastal town full of adorable shops specializing in vintage music boxes, collectable toy cars, cookery items, and of course, all things Christmas. 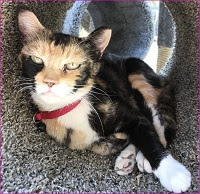 After inheriting both a cat named Jagger (moves like Mick) and the vintage music box store, Callie embraced her new home and happily moved on without her lazy, failed-musician ex-husband. Cove Café owner Brian Greer is doing his part to help Callie adjust to her new home, as is her ever-costume-character-changing assistant Tabitha. The real surprise here is Lyssa, who switches from ghosts to mysteries as she joins Callie in her investigative pursuits. There’s still an unearthly presence being felt, though, as a music box owned by Callie’s grandfather seems to turn itself on whenever a clue should be noticed or an action taken. A very timely plot element emerges within the very cozy atmosphere, bringing to the forefront crimes that too often go unchecked. Callie is a woman who has learned to stand up for herself and for her beliefs, making her an admirable heroine finally finding a true home and her place in the world. To enter to win a copy of A Vintage Death, simply email KRL at krlcontests@gmail[dot]com by replacing the [dot] with a period, and with the subject line "vintage,” or comment on this article. A winner will be chosen January 26, 2019. U.S. residents only. If entering via email please include your mailing address (so if you win we can get the book sent right out to you), and if via comment please include your email address. You can read our privacy statement here if you like. Check out other mystery articles, reviews, book giveaways & mystery short stories in our mystery section in Kings River Life and in our mystery category here on KRL News & Reviews. And join our mystery Facebook group to keep up with everything mystery we post, and have a chance at some extra giveaways. And check out our new mystery podcast which features mystery short stories and first chapters read by local actors! New episode up featuring a story by Elaine Viets! Keepsake Cove sounds like a charming town, a great setting for a cozy mystery. Would really like to read. The cover rocks and the storyline will hold my interest from the first word till the last. 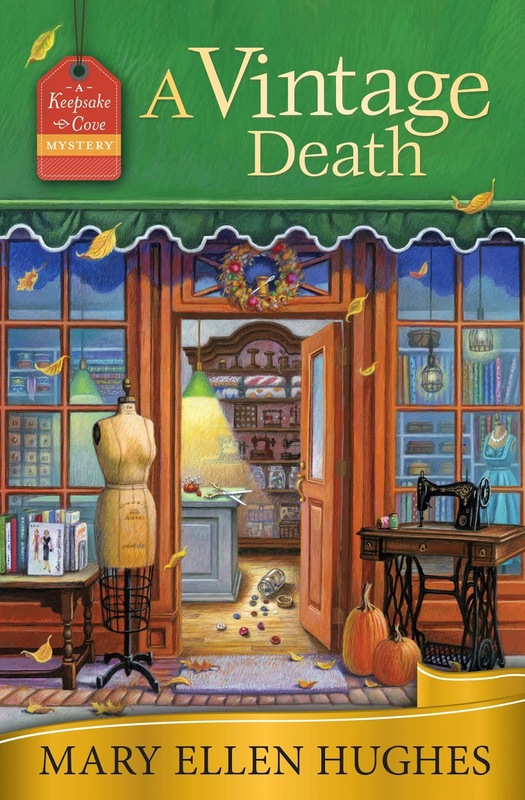 I would love to win a copy of A Vintage Death! It looks like a lot of fun. Ms. Hughes' books are always fun! Thanks for this opportunity.